ZSL’s Conservation Breeding and Reintroduction Programme provides an important resource to ZSL’s conservation work through the management of populations of threatened species in our zoos and, where appropriate, to use some of these to re-establish populations in the wild. 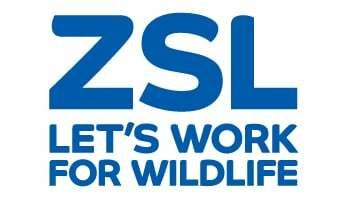 Establishing and managing sustainable populations of species is a core role of the 2 ZSL zoos (London and Whipsnade Zoos) with many being managed collaboratively with other zoos at a European, or sometimes, at a global level. The aim of the European Endangered Species Programmes (EEP) is to ensure those species that are threatened with extinction in the wild have a demographically and genetically healthy population in the region. These animals are then be available for reintroduction should there be a need identified within that species conservation plan. ZSL staff coordinate a number of species programmes e.g. the Nile lechwe EEP and the Amur tiger and leopard Global Species Management Programmes (GSMP). Although reintroduction is not a commonly used tool for species conservation it is one of a suite of tools available should it be determined appropriate. When the release into the wild of animals born in a captive environment is deemed suitable a dedicated conservation breeding centre may be established within the range country utilising the skills of staff developed in zoos or similar centres. Ensuring there is suitable wild habitat available for a release programme is challenging but if all the conditions are right reintroduction can be a very effective way to re-establish a species in its former range. ZSL has been involved in a number of species reintroduction programmes over many years not only through the provision of animals for release e.g. corncrakes in England and sand gazelles in the Kingdom of Saudi Arabia, but also through the provision of expertise to specialist elements of the programmes e.g. disease risk assessment of specimens before release in several UK native species. There are also a number of in-country breeding centres being established utilising ZSL’s expertise for species such as griffon vultures in India and Nepal and mountain chickens in Dominica. Training local staff to take on this work is a critical part of our involvement. Where healthy populations of a species exist but there have been local extinctions of that species other conservation translocation techniques can be used to re-establish wild population or possibly to establish populations in a new area. In New Zealand ZSL staff have undertaken a successful wild to wild translocation of the hihi (New Zealand stitch bird) to re-establish new populations of this endangered bird. For a number of reasons this can be an easier process than conservation breeding but it is still a challenging procedure. ZSL’s Conservation Breeding and Reintroduction Programme provides an important resource to ZSL’s conservation work.